Java John Z's : Summer Polos and Tees at Bonobos! Have you checked out Bonobos' Summer Shop yet? If not, you're missing out. Their selection has everything you need for the warm weather. Take their Summer Weight Polo. I'm sure you'd agree that polos are the quintessential summer shirt. They're comfortable, reliable, and versatile. But they're not always the lightest clothing item. And when the temperature starts to climb, they are often passed over for a lighter top. Bonobos' Summer Weight Polos, on the other hand, solve that issue because they are made from cooler cotton pique, which makes them light as a feather. cAnother fave from Bonobos' Summer Shop is their Yarn Spun Printed Tees. Most guys have a few favorite tees that have been washed and worn so many times than they can honestly be called "vintage." But man they are comfortable. Well, if you can believe it, Bonobos actually created a line of tees that are so comfortable that you'll think you've had forever -- it just won't look like it. These tees are made with Peruvian tanquis cotton that Bonobos sourced specifically for their tees and tanks. They are perfect when worn on their own or when layered. While we love our polos and tees, some summer days just call for a cool, comfortable tank. 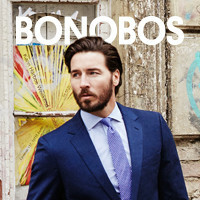 And Bonobos has a great selection and they are all made from that same, amazingly soft Peruvian tanquis cotton. You can get any of these great shirts at Bonobos' Summer Shop. Plus, you'll get free shipping and free returns when you do!